Excellent comfort padding and arch support. Just when you thought walking in style on high arches was an impossibility, here comes Spring Step with some of the most amazing sandals. They are made of high quality Italian nubuck leather. They have a synthetic sole. I’m sure that you’ve noticed its incredibly high heel, measuring about 1.75″. 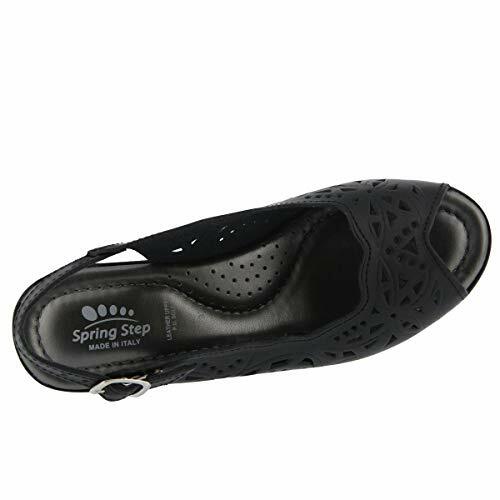 Spring Step promises comfortable padding and excellent arch upport on these sandals. These aren’t very suitable for putting insoles in, and Spring Step realizes this. That’s why it’s made to be naturally shock absorbing and light weight. On top of that, these sandals are built to last. It’s hard to get more value for money than this. 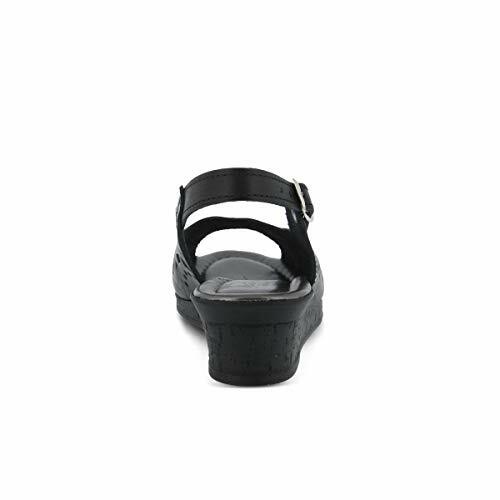 The strap at the back os adjustable, so it’s bound to fit securely and comfortably on almost every woman’s foot! Laser punchouts decorate this beautiful single band slide sandal.